Last October, the Philippine art scene went abuzz after the National Museum of Fine Arts confirmed that the identity of the woman behind the mysterious unfinished Fernando Amorsolo portrait has been found after decades of speculations. The woman turned out to be the painter’s sitter, Florencia “Nena” Singson Gonzalez-Belo, who also happens to be the late mother of dermatologist Dr. Vicki Belo. Nena Belo is only one of the many women who have inspired our many local artists enough passion to translate their creative visions into timeless pieces. 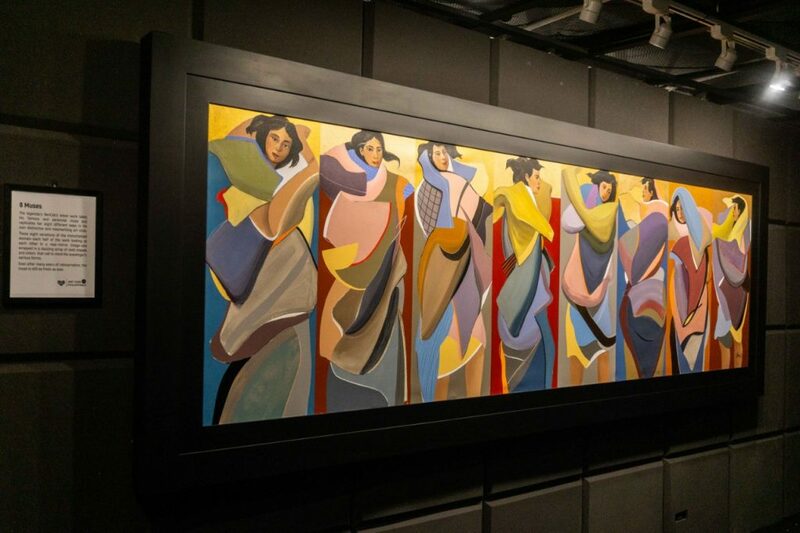 While it is unknown when another muse of a veteran Filipino artist will be discovered, it is only best that we start acquainting ourselves to the muses and the stories behind them. After all, it’s better that we know what our own art beholds. 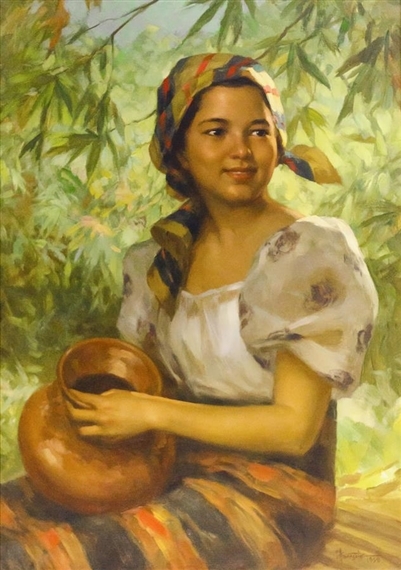 Aside from Nena Belo and his commissioned paintings, Amorsolo has a recurring subject in most of his works: the dalagang bukid. It’s no secret that Amorsolo is fond of scenes rooted in the Filipino tradition. We can instantly infer this from his large-scale works that tackle every day life in the country—from scenes in Intramuros to Fruit Pickers Harvesting Under The Mango Tree. It is, however, unknown to many that he implemented the same stance when it comes to portraying women in paintings, which is mostly his wife. “The ideal Filipina beauty should not necessarily be white complexioned, nor of the dark brown color of the typical Malayan, but of the clear skin or fresh colored type which we often witness when we met a blushing girl,” he was quoted saying. These two are practically inseparable. To this date, I have never visited a BenCab exhibit without seeing the familiar moving woman Sabel. In a 2016 interview with Inquirer.net, BenCab said Sabel was a true person; a wife abandoned with her kids by her husband. The artist used to see her often wrapped in used plastic sheets, moving around Sta. Cruz, Manila. “Nakikita ko siya from my window. She’d beg around for food. I’d just watch and do some sketches and photos of her,” he told Constantino C. Tejero of Inquirer Lifestyle. Her image and movements never left his mind since, even when the real Sabel vanished from the area. The young BenCab would just find himself naturally depicting her while experimenting with various art movements. Little did he know that a few decades later, his portraits and other artworks showing this mysterious dancing woman would cost over P40 million in auctions and art fairs. La Inocencia is considered by historians as one of Hidalgo’s most prized works. “Like Hidalgo’s other depictions of women, La Inocencia is ethereal: It is not quite like his women in moonlight and shadowy forests, but it is almost pre-Raphaelite in its romanticism,” art critic and historian Ramon Villegas wrote for Leon Gallery’s catalog notes. This painting last emerged in 2016 for the year-end sale of the auction house with a starting bid of P10 million. 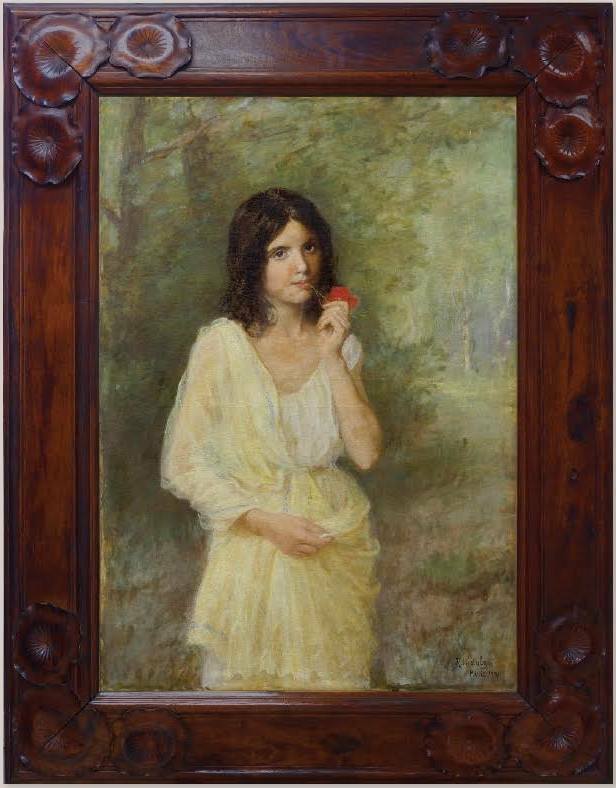 A 1901 painting of a young woman alluringly holding a striking red flower while looking straight into the viewer’s eyes, La Inocencia is easily one of the most uncommon of Hidalgo’s works. Many art critics have actually pointed out that the muse here is Maria Yrritia, his long-time partner who also lived with him for many years. However, historian Ambeth Ocampo confirmed that despite their seemingly strong bond with each other, the 19th-century painter “never married his model” primarily because Hidalgo’s mother would not approve of their relationship. They resorted to spending their time away from Hidalgo’s home to a vacation house in Sta. Ana, near Pasig where she would accompany Hidalgo as he paints her. This relationship reportedly continued until the death of Hidalgo. Although considered as one of Luna’s globally acclaimed works, the woman depicted in The Parisian Life is still unknown up to this date. Some believe its Luna’s wife Maria de la Paz Pardo de Tavera (who Luna may have killed during a fit of jealousy) while a number of researchers point out that this may actually be Mademoiselle Angela Duche, the “model No.1” whom Luna referred to in his retrieved notebook, as written by Raquel A.G. Reyes in Love, Passion and Patriotism. 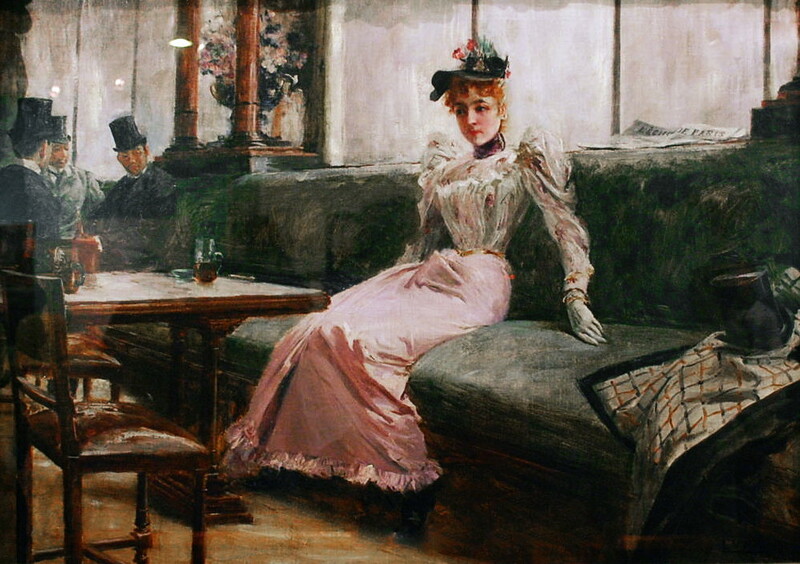 Luna even described Duche as a “supremely distinguished looking, pinking white skin, body and shape of beautiful proportions”—a description that is almost completely parallel with the Caucasian figure he depicted sitting in the Parisian coffee shop. The same features were also seen in Luna’s Mi Novia and the then untitled but now renamed Portrait of Paz Pardo de Tavera. Yes, this means the woman we may be referring to as de Tavera may not really be de Tavera.